I often use and deeply appreciate the bundle of clever features that Vesper Marine calls SmartAIS, but darned if I didn’t miss one. 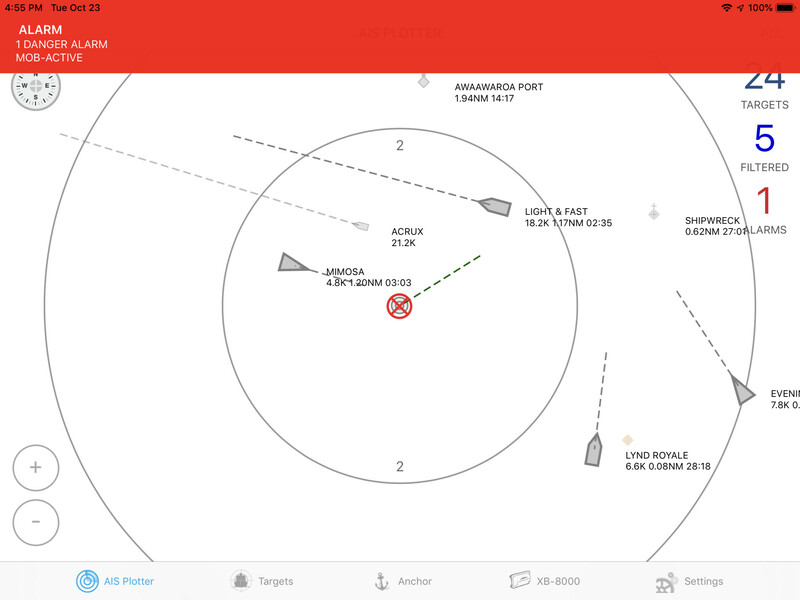 While the WatchMate app screen above shows some aspects of the Vesper collision avoidance intelligence that makes this my favorite real-world AIS plotting tool (among many choices), it is actually a built-in simulation with significant benefits. 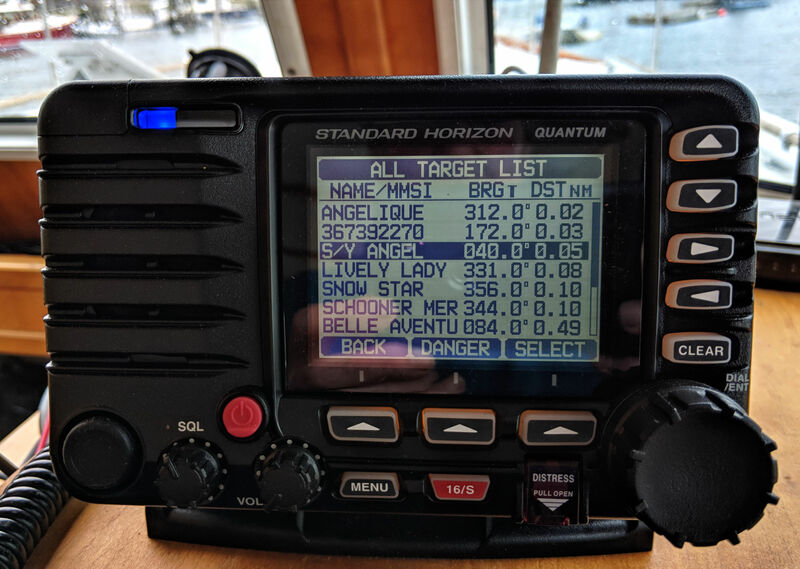 So while no one actually fell off Gizmo today, and no AIS MOB signals were actually transmitted, I still got to see how various MFDs and instruments reacted to a “real” AIS MOB transmission. 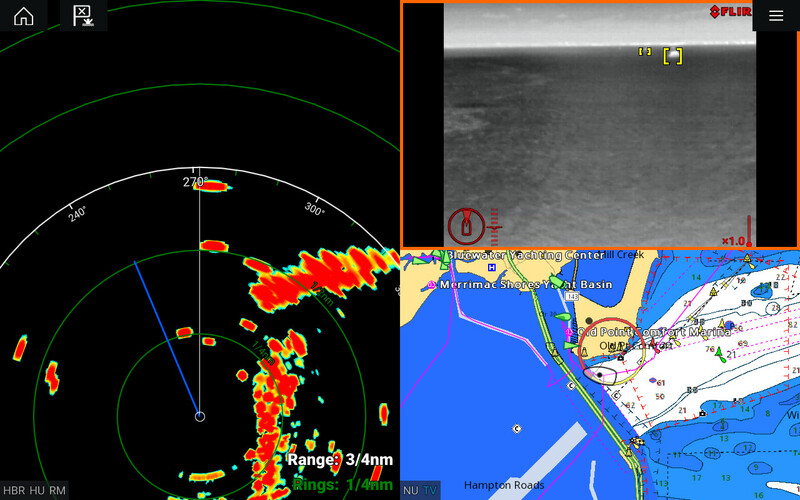 In this scene, Gizmo is negotiating the complex traffic almost always encountered around Hampton Roads, and the Raymarine eS128 screen above is helping with C-Map chart plotting, Quantum solid-state radar, and a FLIR M232 thermal cam. 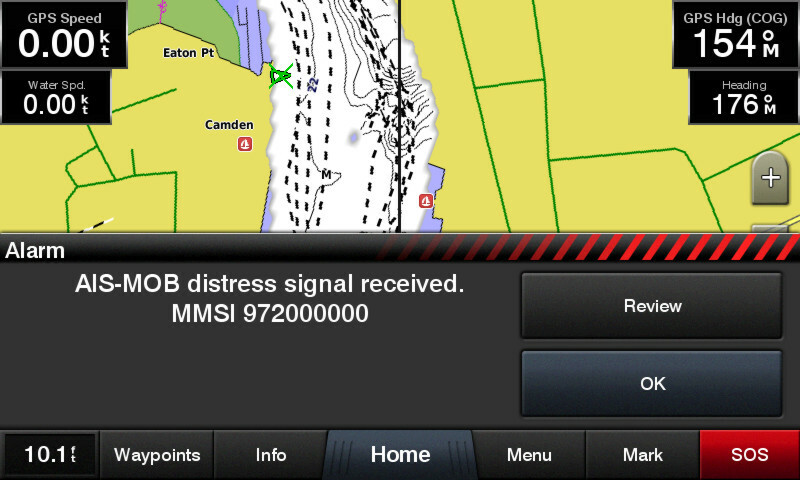 I’ve got a lot to say about the extensive Raymarine system I’ve been testing for the last year — almost all favorable — but today I’ll focus on one unique feature: the automatic ClearCruise highlighting of “non-water” objects shown with yellow brackets on the thermal video. 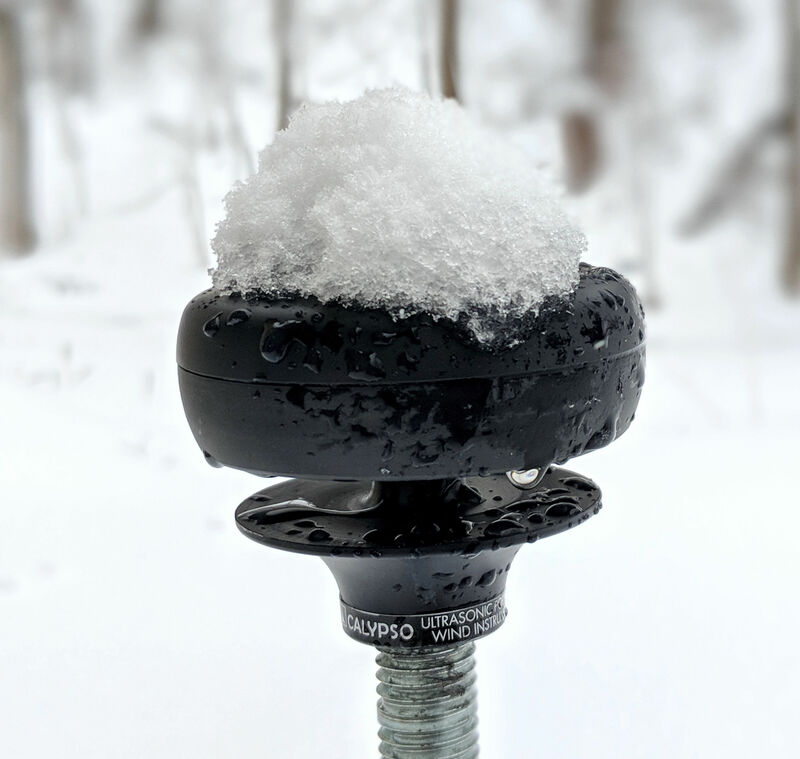 One reason I like ultrasonic wind sensors is the absence of vanes, cups or any other moving parts that might get damaged by roosting birds, loose lines or clumsy humans. 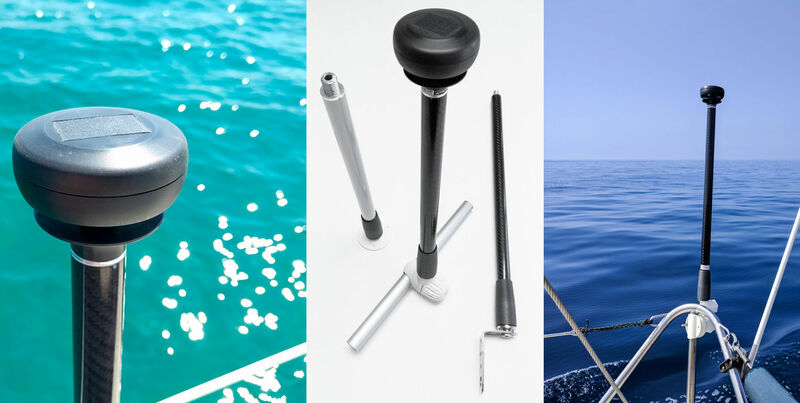 So how about one that can also sense Heading, Air Temperature, Pitch and Roll; that is especially sleek and compact; and that comes in three models able to deliver the data over Bluetooth, NMEA 0183, and/or WiFi? I’ve been testing the completely wireless Calypso Ultrasonic Portable model seen above and I’m tentatively impressed. 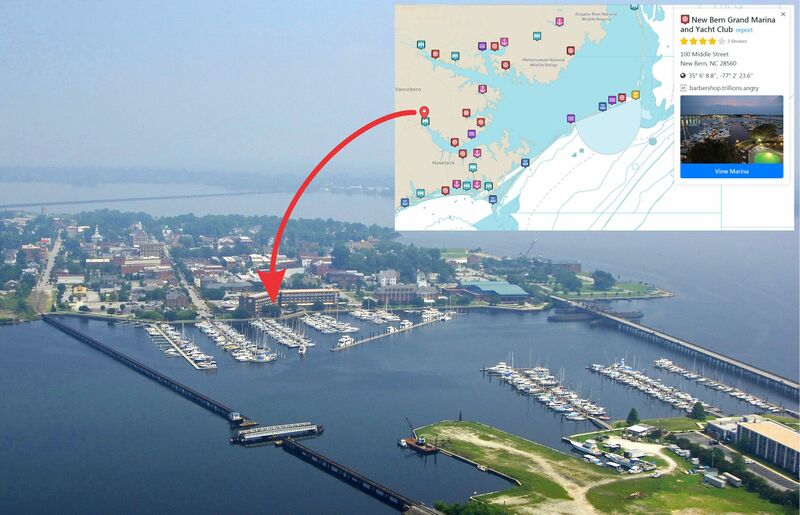 This great aerial image from Marinas.com shows the peaceful, safe harbor I so enjoyed while keeping Gizmo at the New Bern Grand Marina last winter, and across the Trent River at Bridge Pointe Marina three winters before that. Well up the Neuse River from the Outer Banks and below the normal ice and snow belt, these well-managed operations seem like cruising boat havens and that’s reflected in the large, active liveaboard communities. 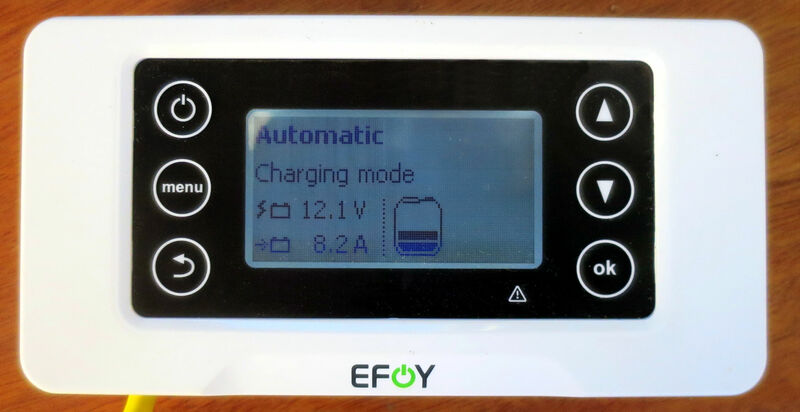 For almost a year I hardly used this little control and monitoring panel because the attached EFOY fuel cell was already flawlessly performing its duty: If engine alternator, solar panels, and/or shore power were not keeping Gizmo’s main battery bank at the voltage parameters I’d configured, the EFOY automatically and quietly charged the bank for a variable period also configured. Aha! 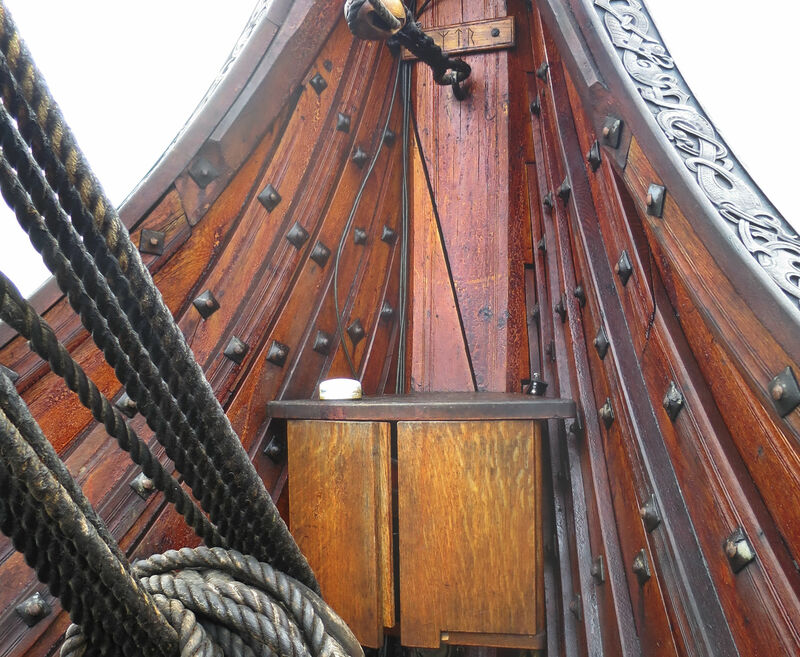 The tar-smeared GPS mushroom antenna stuck incongruously in the bow of the mighty 115-foot replica Viking ship Draken Harald Hårfagre was not a surprise. That’s because live maritime historical research requires modern aids both by regulation and common sense. And, holy Leif Erikson, what a dim and dangerous history this vessel tested. 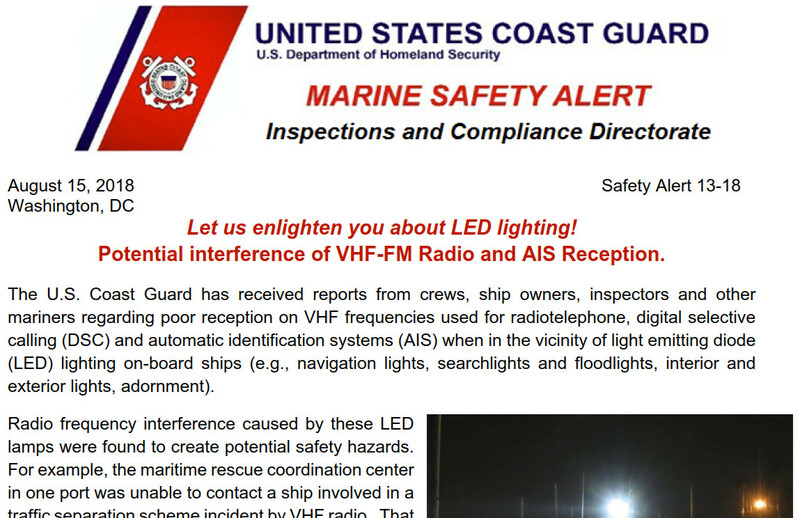 Will trade wars cause sudden marine electronics price increases? A US versus EU trade war cartoon courtesy of the China Daily seems like a fit illustration of the Navico “2018 Price adjustment warning” recently sent out to dealers (one of whom shared it with Panbo). As you can read below, the company is trying to answer questions about what all the changing tariff changes may do to their costs and hence our costs as well as the business situation for everyone in between. On Tuesday I drove down to Yarmouth, Maine, to meet some of the ActiveCaptain Community team at the former DeLorme headquarters building that Garmin now partially leases for inReach and cartography development. 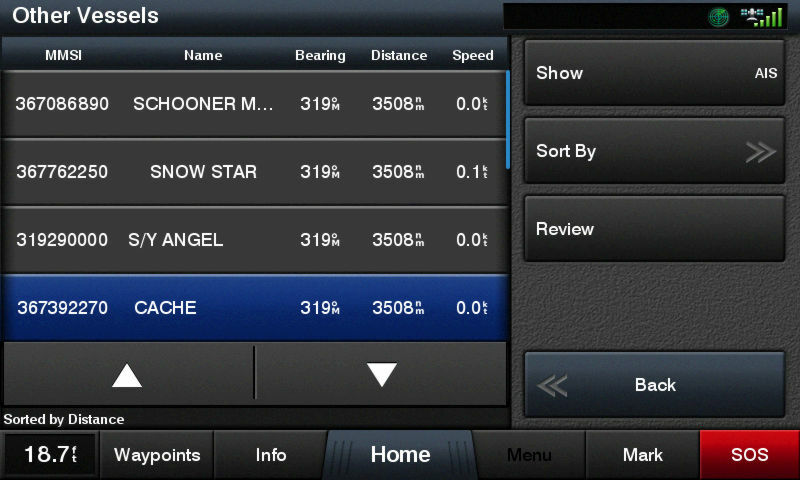 The key news is that Garmin recently contacted marine businesses to explain the three-tier business “ownership” and advertising plan they intend to roll out in late August. I think it’s brilliant.